Muhi-ud-Din Muhammad (Persian: محي الدين محمد‎) (3 November 1618 – 3 March 1707), commonly known by the sobriquet Aurangzeb (Persian: اورنگ‌زیب‎ "Ornament of the Throne") or by his regnal title Alamgir (Persian: عالمگير‎ "Conqueror of the World"), was the sixth Mughal emperor, who reigned for a period of 49 years from 1658 until his death in 1707. 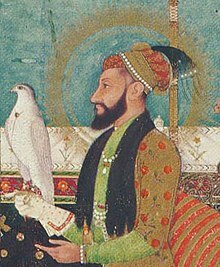 Widely considered to be the last effective Mughal emperor, Aurangzeb was also one of the most influential rulers of the 17th century. 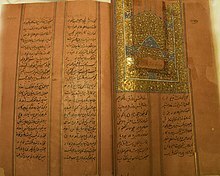 As a memorizer of the Quran, he was one of the few powerful rulers who established Sharia law and Islamic ethics in India. 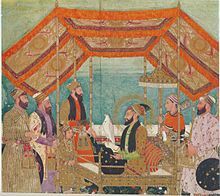 Described as a military paragon,although Aurangzeb has never claimed to be a caliph of the Muslim community, he has been variously called as a Caliph of The Merciful, Monarch of Islam, and Living Custodian of God. 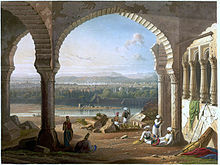 He was a notable expansionist and an Islamic economist; during his reign, the Mughal Empire reached its greatest extent, ruling over nearly all of the Indian subcontinent. 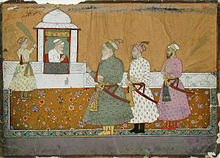 During his lifetime, victories in the south expanded the Mughal Empire to 4 million square kilometres, and he ruled over a population estimated to be over 158 million subjects, with an annual yearly revenue of $450 million (more than ten times that of his contemporary Louis XIV of France), or £38,624,680 (2,879,469,894 rupees) in 1690. Under his reign, India surpassed China to become the world's largest economy and manufacturing power, worth over $90 billion, nearly a quarter of global GDP and more than the entirety of Western Europe. 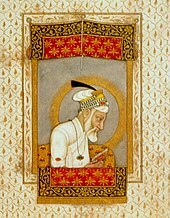 Unlike his predecessors, including his father Shah Jahan, Aurangzeb considered the royal treasury to be held in trust for the citizens of his empire. 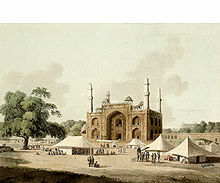 He did not enjoy a luxurious life and his personal expenses and constructions of small mosques were covered by his own earnings, which included the sewing of caps and trade of his written copies of the Quran.